The boys and girls had great fun decorating their eggs. 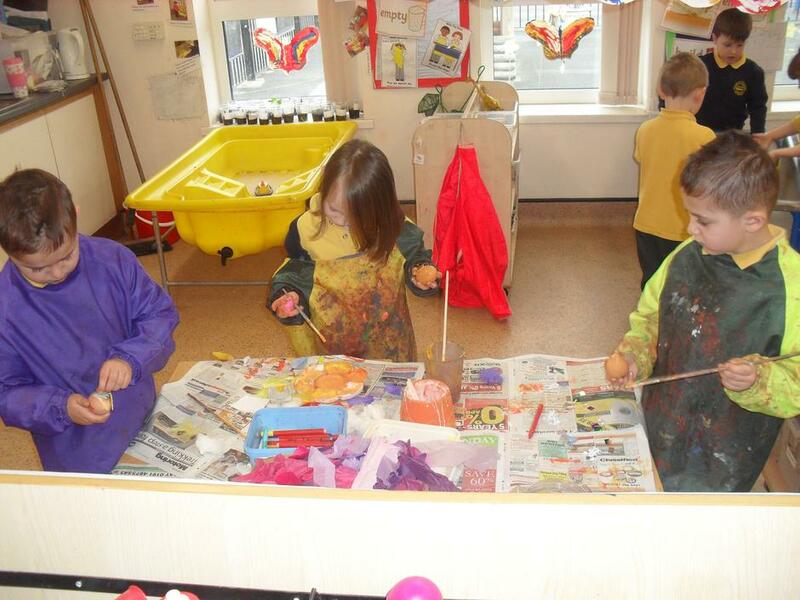 We had paint, feathers, tissue, paper, stickers, cotton wool, ribbon and a whole lot more! Good luck for the competition on Thursday.